St John’s Progressive Childcare is a community based (Not for Profit) Centre, our service exists to offer inclusive, high quality care and education in a well resourced Centre with an optimum environment for learning for all children and their families. 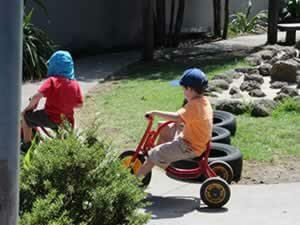 To be a Centre of excellence for the care and education of children. Focus is always the children, never for profit. Community based centre, parent governed, focusing on families needs. Curriculum provides interest, challenges and experiences for children of all cultures and stages. E hara taku toa I te toa takitahi engari he toa takitini…. Its not the work of the individual that creates success but the work of the collective. 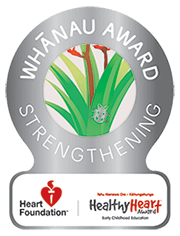 Whanaungatanga – our environment is friendly and welcoming for our tamariki and their whanau. We like to create an atmosphere which is home like, where we recognise the importance of creating a link between the centre and home and working collaboratively with our tamariki’s parents/caregivers and whanau. Families are encouraged to contribute both to their child/ren’s learning as well as that of the centre. We also recognise the importance of connections with our wider community and we are slowly developing these in order to secure meaningful connections. encouraged to show respect to their families, teachers, each other and their environment. giving them time and resources so that we are supporting our curious tamaiti (child) to develop in their own way, at their own pace. Kotahitanga – We empower tamariki to contribute in helping each other. 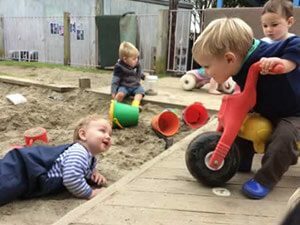 This supports the tuakana teina concept of a child more knowledgeable or learned in an area to support another with their learning. Through doing this, it creates mahi-tahi where we are all working together in our centre. role-modelling to our tamariki the practices that we have developed. This helps to support a sense of belonging and well-being within our centre.